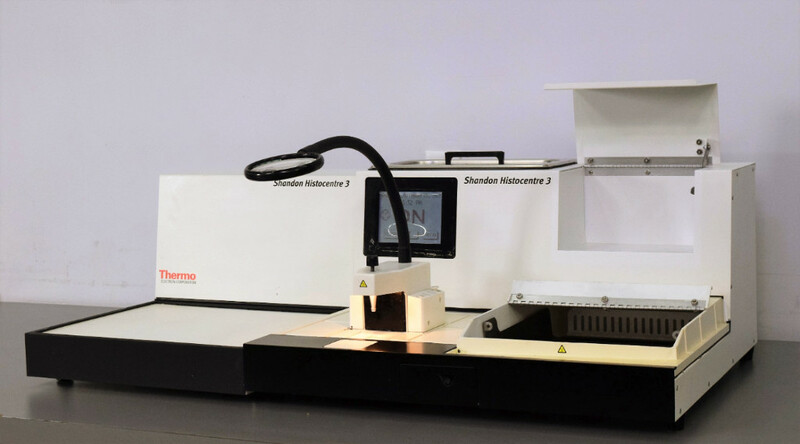 Thermo Electron Shandon Histocentre 3 Embedding Center w/ Cold Plate & Magnifier . New Life Scientific, Inc.
From Professional Dealer. Cold Plate & Magnifier. but also the cooling plate and integrated forcep heating unit, thus centralizing all instrument controls and allowing for easy operation. ready for immediate “plug and play” tissue processing. He also replaced the lightbulb and repaired a hole in the front panel. This Histocentre 3 is leaving in better condition than it came.